Does this sound familiar? Click here to make a quick enquiry and we will be right back in touch as soon as we can. This is a genetic condition and is not a serious or life threatening problem. It is usually painless but can interfere with certain functions of the hand. However treatment is not always indicated and is offered if the condition is progressing rapidly or causing you significant functional problems. The condition starts with appearance of a lump or band in the palm of your hand, developing over a period of time. This lump is usually painless but can be tender when it is rapidly growing or on direct pressure. Over time the lump can develop into a band passing into the fingers leading to the finger contracture. 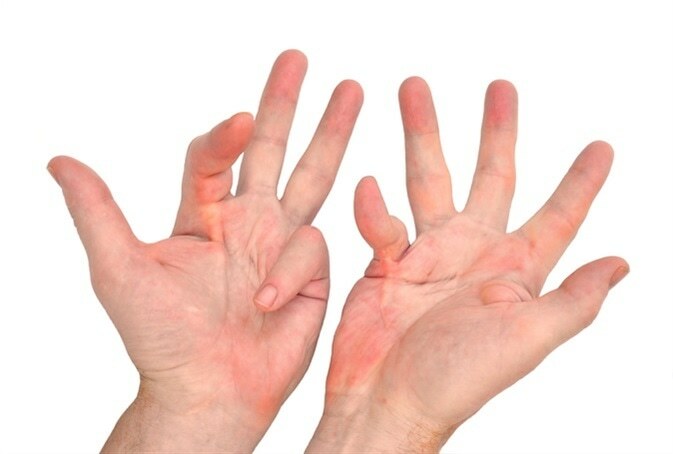 When a contracture is developed fingers do not straighten up and you can get problems putting your hand in a pocket or putting on gloves. 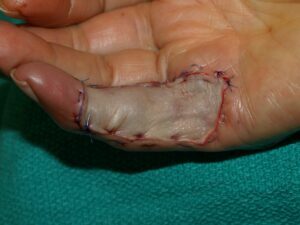 This tissue is similar to the scar tissue and becomes a problem when fingers can not straighten. Soles of feet: Plantar fasciitis. Over the knuckles: Garrods pads. There is no cure for the disease. As smoking is a contributing factor we recommend that you stop smoking. If you suffer from functional disability as a result of this condition, your surgeon may offer you surgery. Surgery is not a cure and there is always risk of recurrence of the disease. You have to be prepared to do a lot of physiotherapy afterwards to get your hand moving again. There is a rapidly progressing contracture which may require major surgery if left for longer. There is a significant problems with the hand function as a result of the contracture. There is some evidence that splints worn at night time (to keep the fingers straight) will help to prevent disease progression, however the success rate of treating the condition is very low and will not be helpful in rapidly advancing disease. Steroid injection into the painful lump in the palm has a 50% success rate in improving the symptoms, however this is short lived, does not prevent the disease progression and is a very painful procedure. Different types of surgery is indicated depending on the different stages of this disease. Needle aponeurotomy: This is the simplest form of treatment where under local anaesthetic the cords in the palm are release with a needle and allow the fingers to straighten up. Segmental fasciectomy: This is usually reserved for more extensive disease in the palm and sometimes in the fingers. A section of the cord is excised under local anaesthetic as a day case procedure. There will be few stitches which need to be removed after10-14 days. Fasciectomy: This is the most common operation for Dupuytren’s Contracture. This operation can be done under a general anaesthetic (you will be asleep) or regional anaesthesia ( you will be awake but the operated hand is anaesthetised). During this operation the diseased area under the skin is removed as much as it is safely possible. 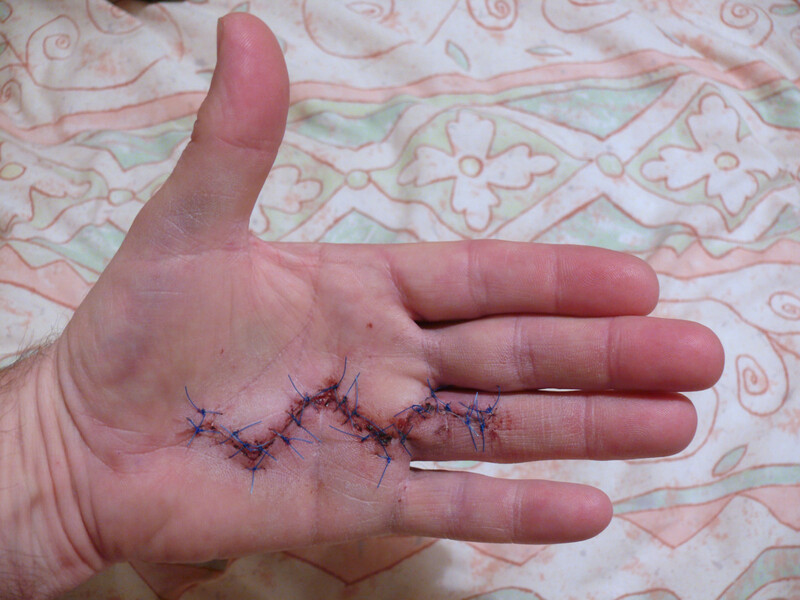 Zig-zag incisions are used to reduce the risk of recurrence. Dermofasciectomy: In very severe or advanced disease the skin overlying the diseased finger is also involved and therefore is removed during this procedure. The area where the skin has been removed is covered by a skin graft (usually taken from the same arm). Repeat operations: Revision surgery is usually carried out for severe recurrence of the disease following the initial surgery. This is a longer and more extensive procedure that requires surgery to the affected joints. Skin graft may be necessary as the diseased skin following the recurrence is removed. Joint fusion or amputation: These procedures are rare and considered as the last stage operation. They are reserved for severe joint contracture and previously operated finger with severe recurrence of finger contracture. You will have a big bandage and Plaster of Paris on your hand which will be changed between 7-10 days from the time of surgery. You will be seen in the clinic 7-10 days after your surgery for wound check, change of dressings and application of night splint which is made by a Hand therapist.The stitches are usually removed after approximately 2 weeks. Some wounds and skin grafts require longer period of dressings. 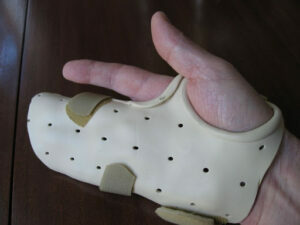 Night splints are used to keep the fingers straight at night time when they are usually curled in during sleep. They are meant to reduce the risk of recurrence and I recommend them to be worn for at least 6 months or longer if possible. During the surgery the fingers have been corrected from a bent to a straight position. Physiotherapy will be necessary to help you move the fingers after surgery which can be quite painful and may be necessary for up to 6 months. It may not be possible to fully straighten the finger if the finger has been bent for many years or if the finger is bent at the small joints or if there is arthritis with in the affected joints as a results of prolonged joint contracture. The Dupuytren’s tissue is always wrapped around the small nerves and blood vessels in the finger. There is a risk of nerve damage (5-10%) while the diseased tissues are removed, despite using magnification loops during the procedure. Nerve damaged can lead to some permanent or temporary loss of feeling at the tip of the finger. Up to 10% of patients experience cold sensitivity after surgery to fingers which responds well to keeping the fingers warm in winter time. Scar sensitivity usually improves with scar desensitisation exercises provided from the hand therapist. As this is a genetic condition there is a risk of recurrence after surgery, however majority of patients do not require any surgery. Risk of recurrence id higher after surgery to the little finger (15%). There is small risk of infection (<1%) after surgery. Patients with diabetes and those with urinary tract or chest infections close to the time of surgery are at higher risk of developing infection after surgery. This may lead to further surgery and possible amputation if the infection is severe on uncontrolled. 10% of skin grafts can fail partially or completely and therefore prolonged dressings or a further skin graft may be necessary. Small joints of the fingers are very sensitive to surgery and can become stiff after surgery which can lead to reduced movement of the finger. Physiotherapy usually helps with improving joint stiffness however in some patients this can be persistent. 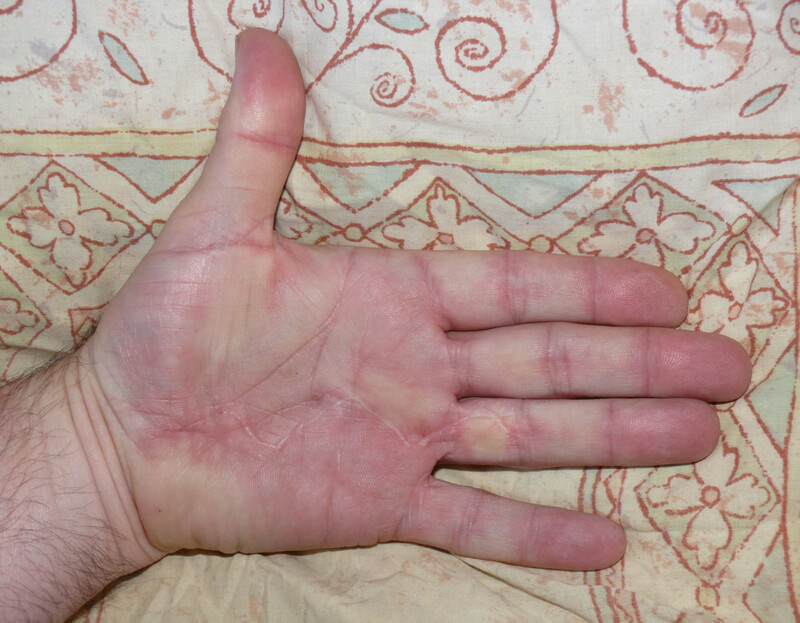 This is a rare condition that affects patients who have had an injury or surgery to the hand. It is diagnosed by presence of severe pain, swelling and stiffness in the hand which may persist up to 2 years. Patients require extensive physiotherapy and pain medication.